My software tells me as of this writing I have 207 sources in my genealogy. I make no attempt to list them all here, but rather to highlight the most important. I have done what I can to present a genealogy that is accurate and complete. It is not out of keeping with democratic principles to which I adhere and which I strive to interpret that I should take pride in the nobility of blood and name. Here is a record that is an inspiration for the future. I seek only to insure that the work of the author, so painstaking and valuable, shall not have been in vain and that all those of the blood who regard their origin and respect their lineage may have the record thereof preserved for all time. When I was a child, my grand-uncle Richard and his family came to visit. They had a book with them which they showed me and my grandmother. I couldn't have been more than ten at the time. First they asked me if I was interested in 'old pioneer families', like Davie Crockett and Daniel Boone. No I wasn't. So they tried knights and princes and told me my ancestors were such as that. "You couldn't mean me," I thought, and promptly forgot all about it. That book must have been The Family of Hoge. I remember the front and back pieces, and know today they are Lucina Hoge's Descendents of Solomon Hoge. About the same time, my Uncle Pat began to try to explain to me my father's family's genealogy. I wasn't much interested in that either. When I went back to Alabama in 1997 Uncle Pat gave me a second-hand Family Tree Maker CD and his gedcom of my father's family (complete, 1,530 individuals cited). He had been working on my father's family's genealogy for about 40 years, I guess. I started with that, and added what I could find on the internet (for free), and published a genealogy on my website. 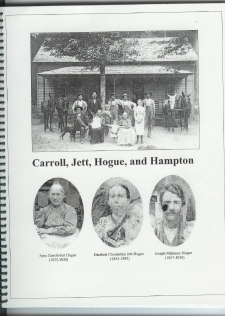 It turns out in addition to my grandmother, my aunts Connie and Phyl, and my uncle Pat, my cousin Jackie was a genealogist and is listed as a contributor to Carroll, Jett, Hogue, and Hampton by James Earl Ray (pages 1-40, 1,236 individuals cited). Mother sent me a print-out of Jackies's genealogy (complete, 598 individuals cited), essentially the same data in Carrol, Jett, Hogue, and Hampton) and Phyl sent me her data. We had a flurry of correspondence and Phyl told me my grandmother had spent a lot of time corresponding with a relative in Texas who spent a lot of time in court houses collecting grants and deeds and so forth (which Phyl has), and established our Lemuel Hoge as the son of Joseph Johnson Hoge & Barbara Brawley. My grandmother must have begun her work on our genealogy after that visit by her brother Richard. And who knows how long cousin Jackie has been working on it. It also turns out my 3rd cousin George G. Morgan is a professional genealogist and has researched my mother's father's mother's family, along with W. T. Beauregard, my 5th cousin. And my mother contributed virtually all of the pictures of her side of the family. 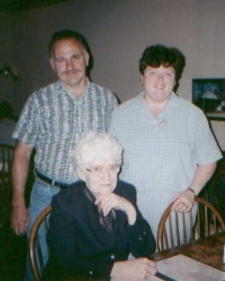 All of the genealogists from my immediate family have photos displayed on my genealogy home page, except cousin Jackie, shown here on the right with her husband and my grandmother Lucille Allred. The Honorable James Hoge Tyler was lieutenant governor of Virginia from 1890 through 1894, and governor at the turn of the century, from 1898 through 1902. 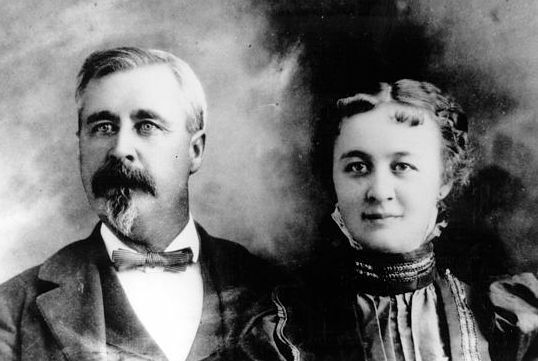 If the F. L. Hoge letter dated August 31, 1880 represents the beginning of his inquiries, he spent nearly fourty years researching the family history and genealogy. The Governor died early in 1925. James Fulton Hoge, his cousin (and father of 6 time Pulitzer Prize winning journalist James Fulton Hoge Junior as well as the New York Times correspondent at the United Nations Warren McClamroch Hoge), edited and published the work in 1927. The largest part of this genealogy, 'certified' by the New England Historical Genealogical Society, concerns 5 'non-related' Howe families in America, most (if not all) of whom claim noble ancestry and all of whom, upon examination, have had their evidence declared as doubtful, at best. However, in the Appendix is found Major Joseph Howe, who's reputation of noble ancestry they do not dispute, but say instead, "The family traditions are sufficiently definite to warrant the statement that his English home was one of wealth and refinement, after the type of that of the English gentlemen of that period, and that he left home at an early period, and under circumstances which would be apt to prevent frequent communication with his relatives at home, while the prominence of his relatives on the British side in the Revolution would tend still further to this result." Major Joseph Howe was the marker for George Washington when he surveyed the Lost River Valley, which today is in Hardy County, West Virginia. On 7 Nov 1749 Washington recorded in his journal "Journey Over the Mountains" (page 84, Library of Congress) that he surved a tract for Joseph Howe, which was subsequently granted to him. Today, this tract would be located about 4 miles North of Lost City, Hardy County, West Virginia. Highway 259 runs through it. 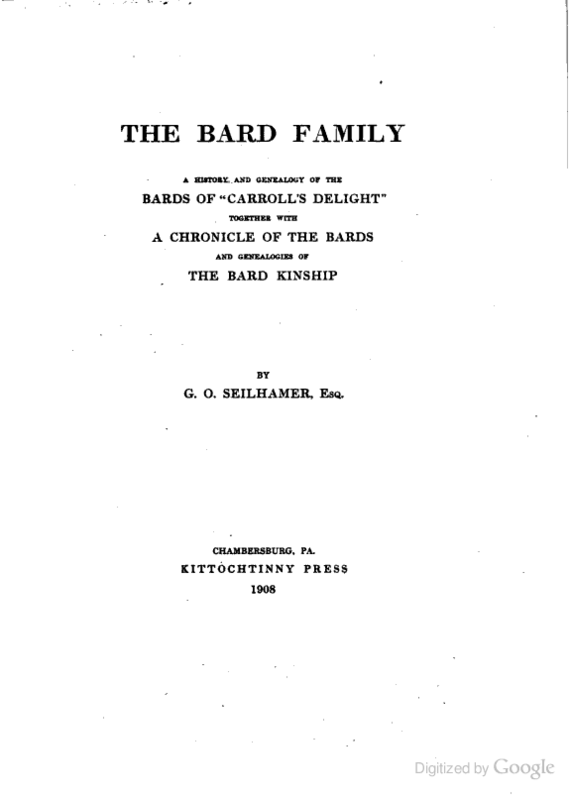 The Appendix contains genealogies for Howe, Hoge, Patton, Heavin (Haven), and de Jarnette - all of which have been added. John Gaither was my 8th great-grandfather. His daughter Ruth married John Warfield. His granddaughter Diana Gaither married Shadrack Hyatt. A Collection of genealogical data concerning the history of the descendants in the male line of James Withers (1680/1-1746) of Stafford County, Virginia. Captain James Withers married my 1st cousin 10 times removed Elizabeth Keene, so all their descendants are cousins. Elizabeth Warner was my 7th cousin 10 times removed. She married Colonel John Lewis. 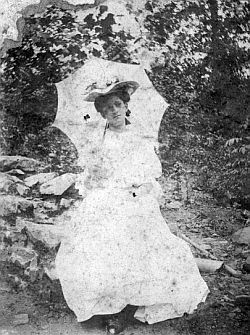 Her sister Mildred married Lawrence Washington. The descendants of Edward Dorsey "The Immigrant", b. 1650. The Ancesty of Peyton Harrison Hoge b. 6 Jan 1858 at Hampton Sidney, Virginia. The Ancestry of Ruxton Moore Ridgely, b. in Baltimore County, Maryland, 24 Sep 1867. Thomas and Mary were ministers of The Society of Friends. They fled England in 1712. Their son Isaac founded the Goose Creek Meeting (near Lincoln, Loudon County, Virginia) in 1749. 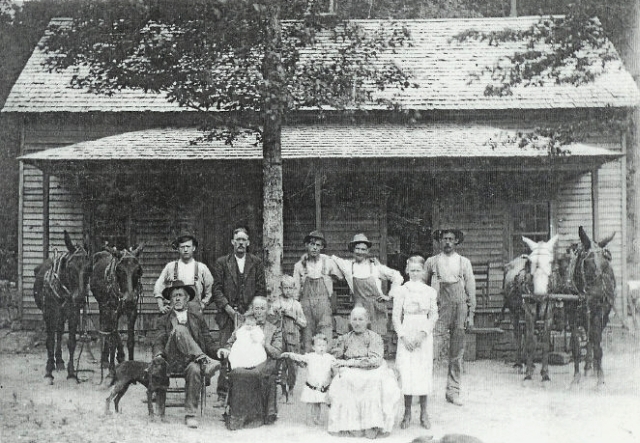 Their great-grandson William's farm at Cherry Fork (near Columbiana, Ohio) was a station on the Underground Railroad. William and his 2nd wife widow Cassandra Swayne (born Brown) were ministers of The Society of Friends. They were also seperatists (Hicksites). Solomon Hoge's 2nd wife was Mary Nichols, the granddaughter of Thomas & Mary, and the aunt of William. Solomon Hoge's daughters Mary and Nancy by his first wife Ann Rollings married his second wife Mary Nichol's brothers Isaac and Samuel. Solomon's daughter Nancy Hoge's 1st husband was George Nichols, cousin of her father's 2nd wife Mary Nichols. Nancy's brother Isaac married George's sister Elizabeth. 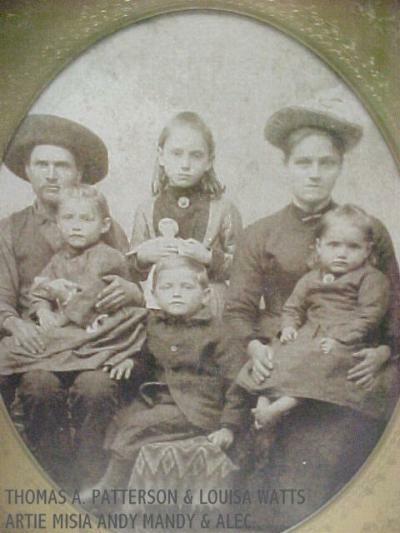 Solomon Hoge's son Jesse married Elizabeth Gregg and his daughter Lydia married Joshua Gregg. Solomon, my 1st cousin 7 times removed, was the grandson of William Hoge and Barbara Hume. David Agnew (1743-1797) married m 2nd cousin 6 times removed Mary Erwin, daughter of John Irwin and Mary Hoge. Robert Bolling Batte was born in Norfolk, Virginia on 13 August 1906. He graduated from Virginia Military Institute in 1928. He later earned an LL.B. degree from Virginia College of Law. 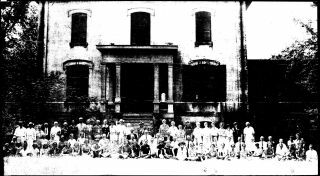 Batte was an engineer with the C & P Telephone Co. and a resident of Richmond. Batte died in Petersburg on 3 June 1996 and is buried in Elmwood Cemetery, Norfolk, Virginia. Batte compiled an extensive collection of genealogical and historical research notes and files. Part of the collection consists of more than 30,000 index cards containing biographical information compiled from a variety of original and secondary sources. Descendants of William Gunter, complete, 2,625 individuals cited.